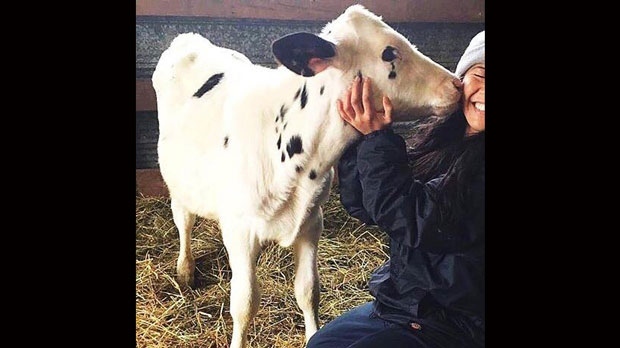 A group of college students were shocked to find out that four calves who were supposed to be sent to a farm animal sanctuary were actually shipped off to a slaughter house. The calves were being used by Seneca College in its veterinary technician program. They are purchased from a farmer at the beginning of the semester and are typically returned at the end of the year. But, this year’s class got attached to the animals. They even named them Bambi, Huey, Pongo, and Chester. The students raised about $3,000 through a GoFundMe page to purchase the calves at an auction and send them to Love of Brian Farm Sanctuary near Meaford, Ont. But, they were misinformed about the date of the auction and were unable to carry out their plan. Logistical issues prevented the students from purchasing the animals from the school. Seneca College held a town hall meeting Wednesday to speak with students about how these animals will be treated and used in the future. The program coordinator says there is a possibility the college will change its policy. The money raised will go to an animal sanctuary and to rescue other calves.